Lawrence Murphy, a Civil War Veteran, cattleman, and businessman, would be one of the primary instigators in New Mexico’s Lincoln County War. Born in Wexford, Ireland in 1831 or 1834, Murphy immigrated to the United States sometime before the Civil War. In 1851, he enlisted in the United State Army in Buffalo, New York and re-enlisted in 1856. When he was discharged in 1861 from Fort McIntosh in Laredo, Texas, he traveled to New Mexico, where he enlisted in the First New Mexico Volunteers at Santa Fe. 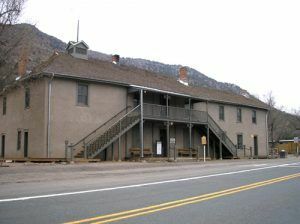 When he was mustered out again at Fort Stanton, New Mexico in 1866, he partnered in a business with another veteran named Emil Fritz. L.G. 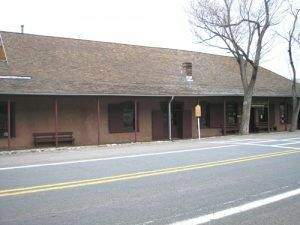 Murphy & Co was a store and brewery established at Stanton. 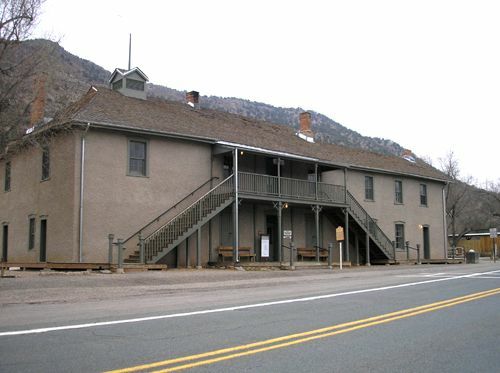 Immediately profiting from their military contacts, they were awarded government contracts to supply beef, vegetables, and other supplies to Fort Stanton and the local Mescalero-Apache Reservation Agency. The pair then began a scheme to sell land that didn’t own to aspiring farmers and ranchers. Selling the land on credit, many were unable meet their payments, resulting in Murphy and Fritz foreclosing on their land, cattle, and/or crops. It was these cattle and crops that fulfilled the contracts with the fort. The scandalous pair also developed a number of contacts with a group of crooked Santa Fe politicians called the Santa Fe Ring, who protected their illegal interests. In April, 1869, Murphy hired another veteran named James J. Dolan, who had mustered out of Fort Stanton and worked as a clerk for the L. G. Murphy & Co.
Lincoln County was formed that same year, and Murphy had political ambitions. He soon was commissioned a District Probate Judge in the new county seat at nearby Lincoln, New Mexico. 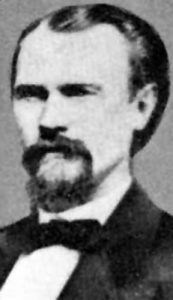 In May, 1873, a hot-headed James Dolan attempted to shoot and kill a Fort Stanton Captain named James Randlett. This would be just one of the reasons for the demise of the profitable L. G. Murphy & Co. store at Fort Stanton. In the meantime, Murphy’s partner, Emil Fritz, was diagnosed with kidney disease, sold his interest to Murphy and returned to his native home in Germany. On September, 1873, L. G. Murphy & Co. was evicted from Fort Stanton, partly due to Dolan’s confrontation with Captain Randlett, but due to accusations of price gauging and scamming the local Mescalero-Apache of the supplies they were supposed to be providing. Amazingly; however, Murphy did not lose his government contracts and quickly made plans to establish a new business in Lincoln, New Mexico. Construction soon began on a two-story building for the new L. G. Murphy & Co. Store, which took on the nickname of “The House.” In April of 1874, former clerk, James Dolan, bought into the business and the store, now called “Murphy & Dolan Mercantile and Banking,” officially opened for business. Murphy was once again able to obtain lucrative government contacts, this time with Fort Sumner, and continued his crooked business practices. In an area thriving with cattle, land speculation and mining, the business was immensely profitable, and with its political ties, the “House” monopolized the region’s economy. In November, 1876, Dolan and Murphy took on an additional partner named John H. Riley. The next year, things come full circle for Murphy; however, when he was diagnosed with bowel cancer in March, 1877. He sold his interest to Dolan and Riley and the business’ name changed to Jas. J. Dolan & Co. The very next month, a rival store was set up by Alexander McSween and John Tunstall called H.H. Tunstall & Company near the Dolan Store, which soon spawned what became known as the Lincoln County War. The feud between the two factions for political and economic control of the area would last for the next two years, fought sometimes in courtrooms, but more often through cattle rustling, gunfights, and murder. When the gunfights and battles were over, nineteen people had been killed in the conflict. However, Lawrence Murphy, the scoundrel who was behind the whole affair, would not be present to witness the violence he had spawned. Spending most of his time in Santa Fe getting treatment, he succumbed to his cancer on October 20, 1878. © Kathy Weiser/Legends of America, updated September, 2017.